Gilbert and Rebecca are new TBOT members. Welcome!! The selfbow, quiver and arrow all made by Gilbert. 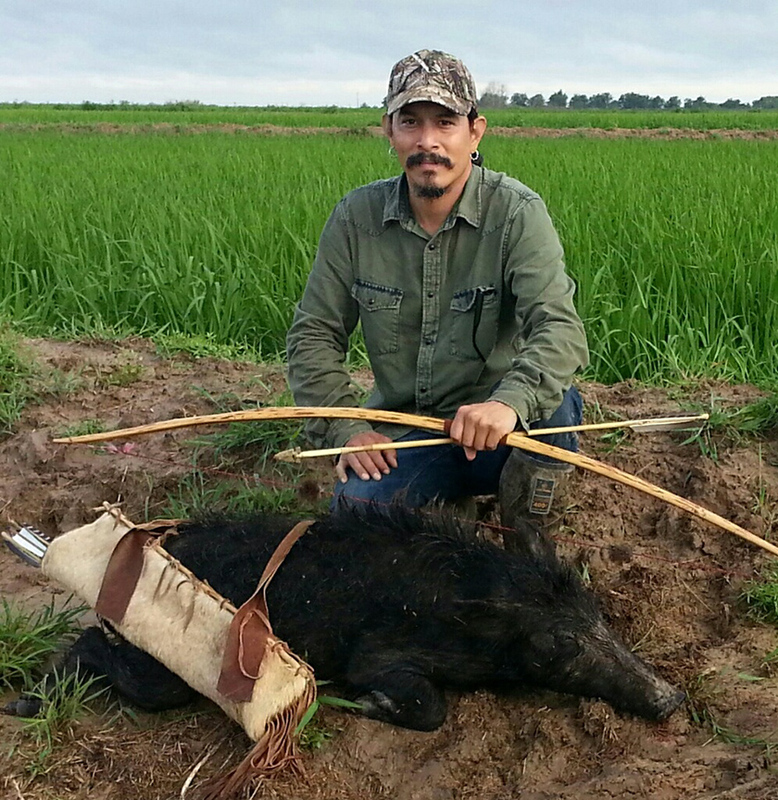 Congrats on the harvest of a hog the traditional way.